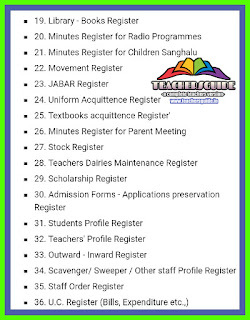 School Education - Maintenance of Registers at School level - Instructions Issued - Reg. 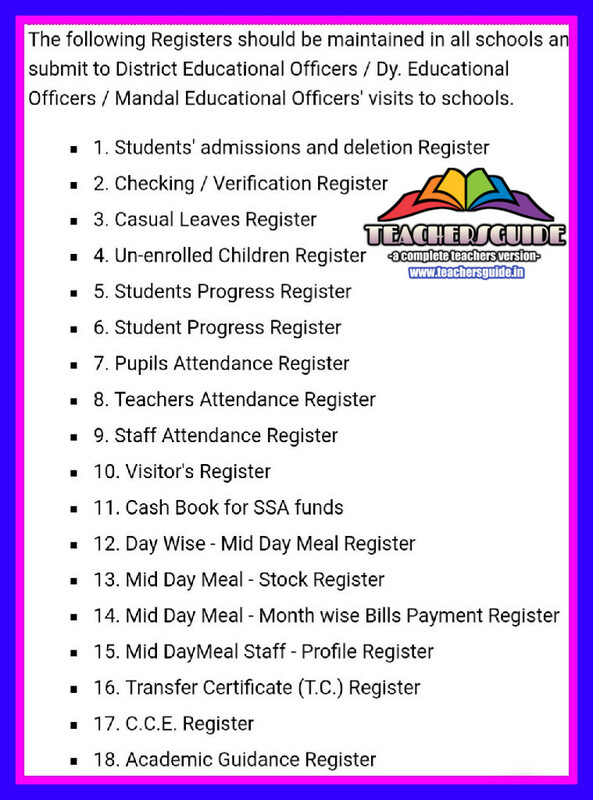 All the Regional Joint Director of School Education and District Educational Officers in the State are informed that the list of registers should be maintained at school level is appended herewith. Therefore, they are requested to issue necessary instructions to all the Dy.EO, MEOs and HMs in their jurisdiction to maintain the same at school level and also issue necessary instructions to incorporate in the visist/inspection proforma respectively. 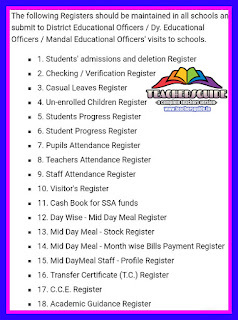 The said registers should be submitted by the concerned HMs as and when the inspecting officers visit/inspect the schools. This has the approval of the Commissioner of School Education, A.P., Amaravati. 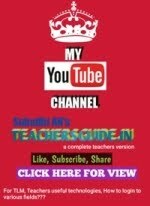 For COMMISSIONER OF SCHOOL EDUCATION.